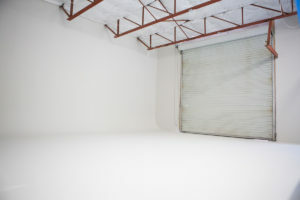 Our natural light white cove rental studio, and includes an “infinity corner.” Perfect for commercial photo shoots and catalog shoots, this studio includes ramp access and a huge natural light roll-up door. 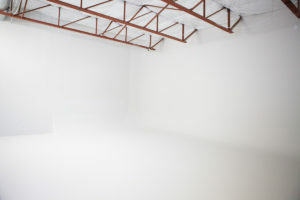 If you are planning on filming and audio is critical please note that this studio is not sound-proof. 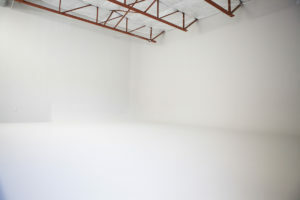 Rental rates are $250/half-day (4 hours) and $400/full-day (8 hours). Studio reservations may be booked 24/7. 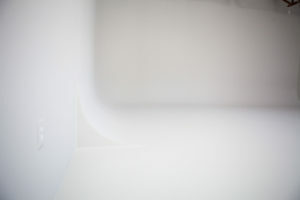 To book photo studio, please call 1-888-ONAIR4U. Online reservation system coming soon.